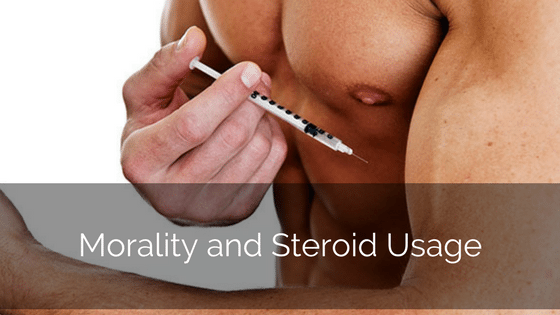 Morality and steroid usage are topics I hear put together all the time. People question the morality of those who would use steroids. They think people should just not do it. I am here to tell you that I completely and totally disagree. First, as a Libertarian, my political mindset is that adults should be treated as adults. They should be allowed to make the decisions required to live their lives. If that involves using steroids, so be it. I would definitely caution anyone who plans to go this route, they need to know the risks ahead of time. If this is you, be sure you know everything about the substances you plan to use before you begin. Do not go cheap. If you are going to require a certain amount, don't skimp because you will be taking risks without getting the resultant benefits. At the same time, it is your decision. No one person can tell you what to do. I strongly suggest that if you are married or in a serious relationship, discuss this potential decision with your significant other. They should have some say in what you do and letting them know is important in the event of health issues that might arise. Education, not morality, is the requirement here. I don't believe anyone who chooses to do steroids is immoral. I do think that anyone who chooses to do steroids without first researching all the angles is an idiot. I can't say it any more clear than that. A grown adult should be allowed to decide what works in their own life. Yes, anabolic steroids are drugs, but drug usage is something an adult should be able to choose if they wish. Again, I see nothing morally wrong with using steroids if that is what you want to do, just be careful. Steroid usage can cause abnormal organ growth, high blood pressure and even death. Keep this in mind when making your decision. 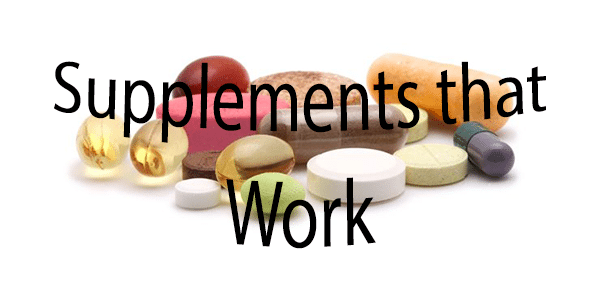 Supplements that work…something so many of us want to know about. The supplement companies just want to take your money away. They will tell you anything to get you to buy. Today i am going to tell you about the supplements that actually work. These shouldn't surprise anyone, but this very short list should go a long way towards helping you with your goals. In my experience there are really only 5 supplements that work as advertised. While there is nothing special about protein powder, they are a great way to insure you get enough protein in your diet. They also serve as a clean way to add to your daily caloric intake. Whey protein digests quickly and is highly bio-available. I personally go to True Nutrition for my whey protein. I use the Team Skip blend because it tastes great and is a mix of whey and casein protein. I have had great results with it so far. Creatine is effective at increasing muscle protein synthesis, and it improves power output, which also helps increase muscle growth. How does creatine work? For those who remember their high school biology, creatine acts as an extra reservoir for phosphate groups. When your body starts running out of readily available ATP (for example, when lifting weights), creatine can help donate some phosphate to ADP (to give your body more ATP). In terms of real-life application, creatine basically gives your cells a bit more extra energy. Taking creatine can also cause 5-10 lbs of water-weight gain. The stress from extra water causes muscle cells to grow faster. Beta alanine is not quite as effective as creatine, but it definitely helps maximize your potential. Beta alanine is an amino acid which is turned into carnosine in the muscles. Carnosine protects muscle cells from excess acidity, like the kind that’s produced during intense exercise. Researchers in one study observed an increase in muscle growth after beta-alanine supplementation, even after they controlled for the extra work people supplementing beta-alanine could do in the gym. That means that beta-alanine might help you build muscle on top of its ability to increase endurance. I swear by BCAA supplementation. There are those who say it is useless because you get BCAAs in the protein you eat, but I find that using BCAAs consistently during and after a weight training session brings about some impressive results. The best progress I've had came when I was religiously using BCAAs during and after my training sessions. They protect muscle when doing cardio. They help me get through my workouts. I know we should be getting our nutritional value from the food we eat, but in today's society the extra help is useful. I did research and wound up with the Kirkland brand of multi-vitamins. I find that I have much more energy when I am consistently taking multi-vitamins every single morning. If the supplement isn't on this list it is likely it doesn't work as advertised. Buy those at your own risk. Steroids. It is a very negative word in the “real world”, but in the bodybuilding world it isn't given a second thought. It is an accepted thing that competitors will and do use performance enhancing drugs (steroids). It is true that for decades bodybuilding athletes have used steroids to grow muscle faster, enhance recovery and allow them to lift heavier weight. When I competed in my first competition completely drug free as a way to have a goal for losing weight I found it to be a huge deal. As I stood waiting to hit the stage the woman who was the backstage manager looked at me and said “Honey, we should give you the first place trophy because you are the only one of these guys who didn't use drugs.” She said it in such a matter of fact way that for the first time it really became clear to me that steroids are just accepted in bodybuilding circles. 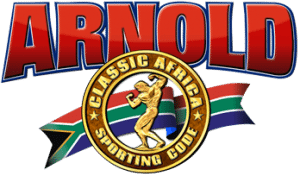 My personal stance on steroids is that it is a personal choice made by each competitor. I have no issue with someone taking risks with their own body as long as they are honest about it. it does bother me when someone is using steroids and they tell people who follow them that they are natural. It gives the wrong impression and can cause others to get hurt. 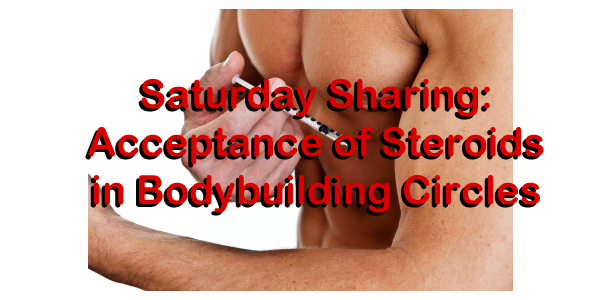 At the same time, if you are going to be honest and admit tha tyou are using steroids, you also need to encourage people to thoroughly check things out before they also begin using. To me it is all about being responsible. The fact that steroid use is accepted in bodybuilding circles causes me to wonder why people hide it in the first place. I suppose legal ramifications are one reason. You have to be careful who you trust in this world and that's probably why people keep their mouths shut about steroid use. That's my two cents! The supplement industry is huge. It claims that it wants to help people like you and I reach our goals. While I believe some people in the supplement industry really do want to help us, I believe most of them are after our money and nothing else. That's why I started writing “The Average Guy's Supplement Guide” and will be releasing it in mid-December 2014. I want to educate people on what works and what does not work. Today I want to teach a little about supplements in general and the reason so many people take them. The majority of the “muscle” magazines on the market are really just one giant advertisement disguised to look like a magazine. They show you a picture of some professional bodybuilder holding their supplement. 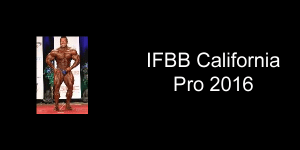 They don't make any claims (most of the time) that the bodybuilder actually uses their supplement, but the suggestion is obvious from the fact that they are clearly endorsing the product by being in an advertisement for the product. One of my favorite bodybuilders is Kai Greene. I have seen many advertisements where Kai is involved with Carnivore Protein. I will admit that I have looked up this protein and checked its price. I did this purely because Kai was in the advertisement. 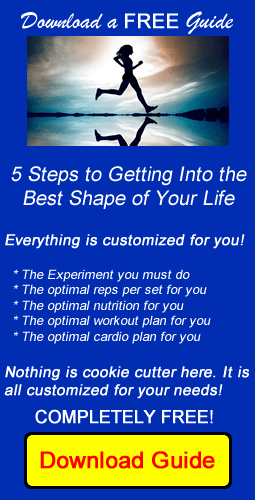 This approach by the supplement companies is powerful and psychological. Making me believe my “idol” is using their product can easily lead to sales. The supplement companies know we want to add muscle and get lean. That's the goal for most people who train. As a result they play up the ability of their products to get us there. They show us some hot woman in a bikini who hasn't got an ounce of fat on her and we believe that their product can do that for us as well. We see the before and after pictures where the skinny guy has a ton of muscle and we believe that their product can do that for us. We buy into it because we are afraid of putting time in the gym and not getting the results we want. Everything else should be looked on with skepticism. Yes, you can try things out (we love the idea of the Experiment of One), but do so with caution. Make sure your choices are educated ones. Don't take something just because you've heard it is great. Do your research. 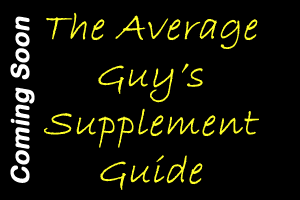 “The Average Guy's Supplement Guide” is being released in mid-December 2014 and will be an amazing resource for you. It contains a list of many supplements, an explanation of what they are supposed to do and a description of whether or not they work. It also has interviews with some of the top fitness people in the world where they offer their take on supplements. It even includes interviews with some local level bodybuilders who tell you what they think about supplements. You are going to want to get your hands on one when it is released. If you have worked out for any period of time you no doubt have had someone tell you that you need to take CLA to lose fat or you need to be on Creatine to gain muscle. For some reason people seem to think that over the counter supplements are magical and will give you everything you need. 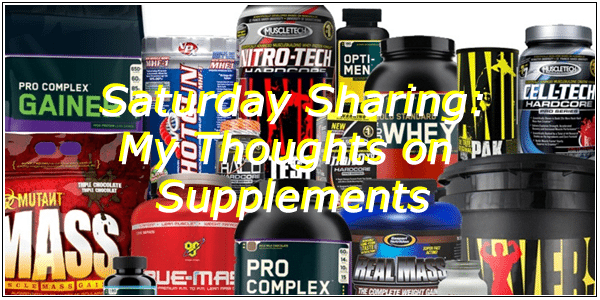 Today I want to give you my opinion on supplement usage. 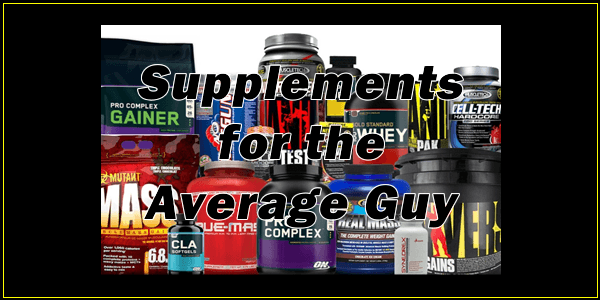 I am currently finishing an ebook called “The Average Guy's Supplement Guide” and I describe many supplements and tell you whether or not they work. Why am I doing this? Because there are so many supplements out there that it gets confusing. One could spend more than they make each month on supplements. The question becomes what is the benefit to spending all that money. I am obviously not going to give away specifics since those are covered in my new eBook ‘The Average Guy's Supplement Guide”, but I will give you the following pointers. Do some research to see who is using a given supplement and how it is working for them. Visit forums where supplements are discussed and ask questions. Pay attention to the results people are getting. Just because it is a popular supplement doesn't mean it will work for you. Everyone is different and as such, everyone responds differently to supplements. If you simply must try something out, pay attention to how well it works for you. If you see no difference, discontinue its use. Always know what a supplement is supposed to do before you take it. Know how long you can stay on a given supplement. Fat burners, for instance, generally stop being effective after 6 weeks. Unless you take a break from them, you will be wasting your money. I believe that some supplements work and others don't work at all. I also believe that some supplements work, but only for certain people. Take the time to educate yourself on these issues. Come back here and buy a copy of “The Average Guy's Supplement Guide”. I think you will find it extremely useful and it will save you thousands of dollars in the long run.